There are things going on in Courchevel! The station celebrates its 70th anniversary this year and among the flood of good news is the reopening of the Aman. Inaugurated in 1992, this confidential address underwent 8 months of renovation. Beautifully located on Bellecôte, the hotel offers 31 rooms where the palette of color resumes the codes of the surrounding nature. The decoration gives priority to noble materials such as oak or beige stone to create a natural and cozy atmosphere. New features include floor heating and Japanese toilets in the bathrooms. The bar has been moved to the west side of the hotel, its large bay windows opening onto the south facing terrace offer a superb show on the mountains tops at sunset. A new restaurant has also been created. 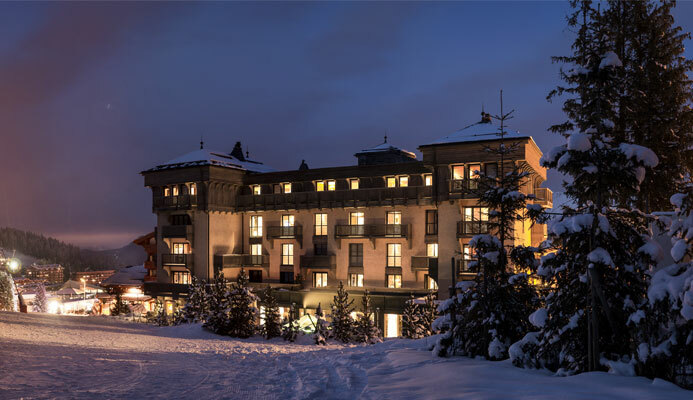 Do not forget the spa with its indoor swimming pool, jacuzzis, hammam and four treatment rooms: an ideal place to relax after a day on the slopes. A. F.-M.